It amazes me that no matter how many times I go to the market (and I've been going once a week for years), I always find either new products or those I haven't ever tried. Almost without fail, I bring home something new (to us) each shopping trip. On one recent trip, it seemed the market was teeming with products we've never tried. So of course, to help the economic climate (I'm such a good citizen), I bought a bunch of new "stuff". Laura was looking around the market for an easy treat (you know Laura and cooking) and came upon the Friday's frozen appetizer section. Friday's has taken most of their most popular restaurant appetizers and boxed them up to offer you some great take home options. They offer buffalo wings, mozzarella sticks, onion rings, and so much more. Check out the whole selection here on their website. 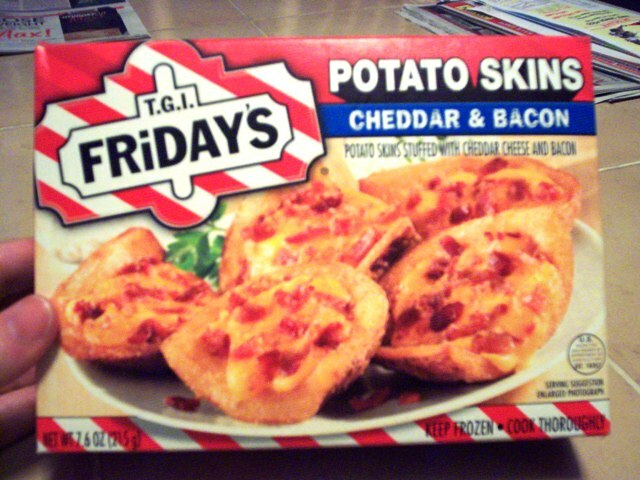 Laura decided on the cheddar and bacon potato skins. All she had to do was put them on a sheet pan and bake. She loved them. She said they had a good potato taste and of course the bacon and cheese added so much flavor. Only complaint was she wished there were a couple more in the box! 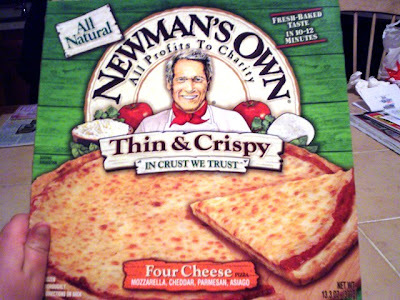 Now here's a product I've gotten before and loved - Newman's Thin & Crispy Four Cheese Pizza. It doesn't have that cardboard-like taste that most frozen pizzas do. The crust is nice and thin, the sauce a mixture of sweet and spicy, and the cheese more "real " than the stringy mess that tops most frozen pies. Paul Newman was really into fresh and natural foods so you can count on his products being of a high quality. There are several varieties of his pizza which you can check out here on their website. I love this pizza and if you haven't tried it yet I say give it a shot. It's really tasty. Sara Lee has had frozen products in the market almost as long as there have been markets. Reknown for their baked goods, they have also ventured into deli meats and cheeses. But almost everyone I know has tried the original cheesecake. Recently they were on sale for $3.99 (not bad), so I bought one. 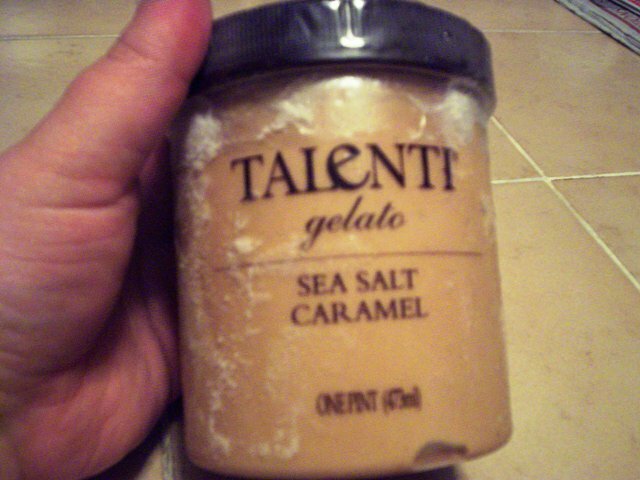 It's been awhile since I had one but it tasted just as I remembered - cold, creamy and tasty. Does it taste like a thick, rich real New York style cheesecake? Of course not. The filling is more cheesecake-like pudding with a cream-like topping in a graham cracker shell. Not a Junior's, but a nice, creamy, tasty dessert for anytime. 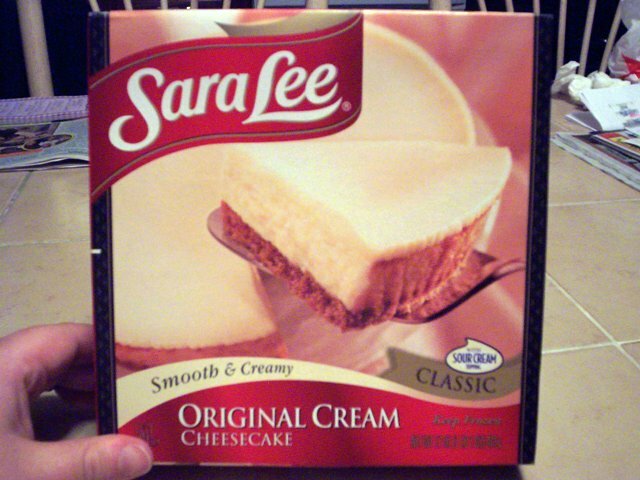 Check out their website for more Sara Lee Cheesecake products. 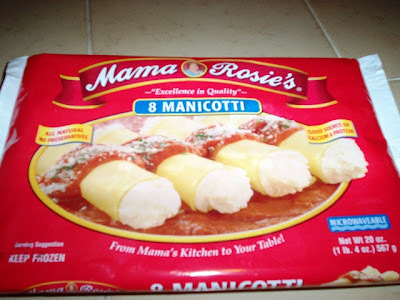 I really like the Mama Rosie brand of frozen pastas. They have a very unfrozen-like taste when heated up. I often buy the cheese ravioli, put on my favorite sauce, sprinkle with some Parmesan cheese and voila - a really great tasting meal. However, on sale this week were the manicottis. I've bought these before and will buy them again; they're so good. They are eight nice-sized manicotti in a package. The pasta shells cook up perfectly al dente and they are filled completely with a delicious ricotta cheese mixture. All you do is cover with sauce and bake. Delicious. Check out their website here for more great products . 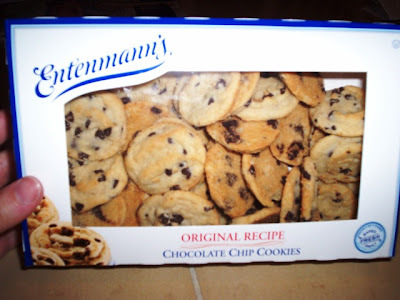 I know that you know about the fabulous Entenmann products that are at the end of the bakery aisles in every supermarket. Cakes, donuts, danish, oh my ... a world of goodies. Well, they also have these little chocolate chip cookies that I had never tasted. So we brought home a box and dug in. They were softer than I thought they would be. Truth be told I like a crisp cookie, but these had a nice chocolaty taste. Hubby, who loves soft cookies, scoffed these up. Entenmann's has such great products. Check them out here on their website. I love Thomas's English muffins. The original are my favorites but we've been venturing out into other varieties as well. 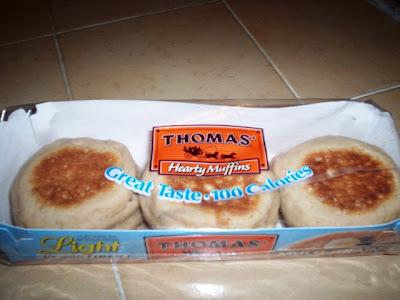 That's how I came to try Thomas's Hearty Light Multi-Grain English Muffins. Wow, did English muffins get smaller? They were so small, but I guess that's how you keep the calorie count down. But how did they taste? Very good. They had a heavier, more whole-grain breadiness than the regular English muffin. At a third more fiber and a third less calories, they can be part of a very healthy breakfast. But don't burn your fingers trying to get them out of the toaster! Check out their website here for more varieties. These were the products I found in just one week. The funny thing is, I know next week will bring me face to face with more new stuff. These companies ... I don't know how they do it, but I'm glad they do.